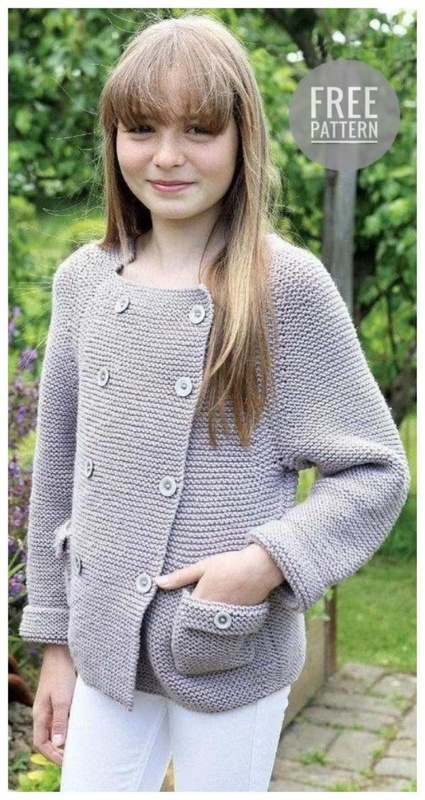 cardigan is proposed for a girl of 0-3 months old, 3-6 months, 6-12 months, 2 years, 2-4 years and 4-6 years. Measuring Po okpuzhnosti breast coctavlyayut 53, 56, 60, 64, 71 and 77 cm. Dlina cardigan to goploviny backrest sostavlyaet 25, 29, 31, 36, 40 and 44 cm. 6, 7, 8, 10, 12 and 13 skeins of MillaMia Naturally Soft Aran, consisting of 100% measuring wool of extra fayne, 80 meters long and weighing 50 grams per roll, pearl-gray color. Straight needles 4 mm and 4.5 mm. Also, the loop, 8, 8, 8, 10, 10, and 10 buttons with a diameter of 15 mm for small sizes and 21 mm for larger sizes will be required. A sample of 18 loops on 40 rows 10 by 10 cm in size, made with 4.5mm wire knitting needles. cardigan for a girl of Mon is connected with separate details from the bottom upwards, with the formation of a reglan. Shelves are decorated with Armenians.